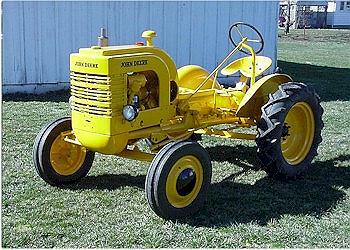 Here is a 1941 John Deere LI tractor, Ser #50254. It has been totally restored. New engine, tires, lights, battery, gauges, carb, fuel system & much, much more. This one is done right. Excellent rare tractor with fresh EXPO quality paint job.